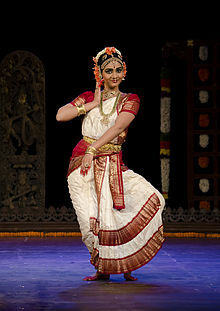 A classical dancer practicing for a performance. ↑ Kothari, Sunil; Pasricha, Avinash (2001). कुचिपुड़ी (English में). अभिनव प्रकाशन. प. 31. पहुँचतिथी 29 अक्टूबर 2015.